Is your breaker panel causing you a lot of electrical troubles at home? This is not something you should be taking for granted. An outdated and defective breaker panel is not only highly troublesome, but it can also be utterly life-threatening too. It is important to understand the importance of breaker panels as part of your residential electrical system. Breaker panels or electrical panels are the ones that supply voltage to circuits or sub-panels, thus ensuring that electrical current flows sufficiently throughout the system. To put it simply, you won’t have power supply once your breaker panel stops working. This clearly explains why a single defect in your breaker panel can result to electrical issues all over your residence. An electrical panel usually has a long service life, but this doesn’t mean it need not be routinely checked, maintained, or upgraded. Routine checks will let you know if the panel needs to be repaired or totally replaced. Remember that once a malfunctioning panel gets overloaded, it can be highly dangerous, and you certainly don’t want such hazardous incident to happen in your home which can jeopardize the safety of all household members. Always call for professional assistance once you detect a sign of breaker panel defect. If you are not a trained electrician yourself, please avoid doing the check-up on your own. It is best to leave it to the experts who specialize in electrical panel upgrades, repairs, and change outs. 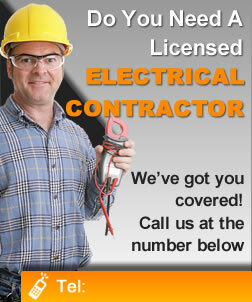 Our highly qualified and licensed electricians in Columbus, Ohio can do the job for you. All you need is to contact us and tell us your concerns so we can immediately send a team of competent electricians to your home, to address any issue with regards to your electrical panel and any other electrical issue for that matter. We can assure you of our top-quality residential services that are not only readily available for your convenience but also budget-friendly.